With summer around the corner, and the weather improving it's a great time to spruce up any furniture or accessories that have seen better days with paint. Even your house can look like a million dollars with a fresh coat of paint. Since we aren't sure where we will be living this fall, I am not sure what I should do with my patio furniture. I think they could use a fresh coat of paint and new cushions. But I don't want to invest in the time right now. 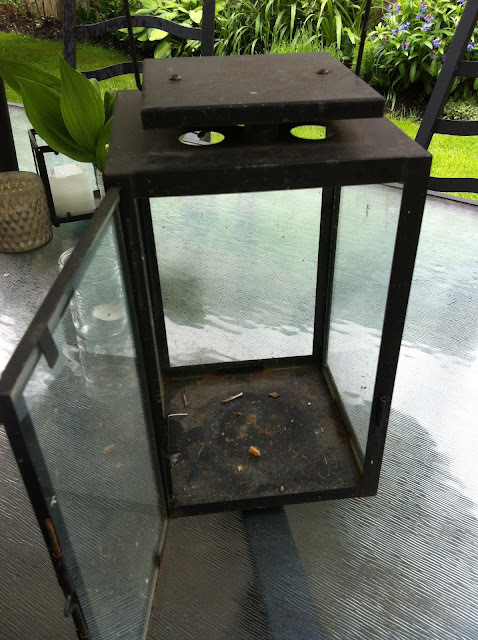 I have a '"thing" for lanterns and a few of my lanterns have been exposed to the elements over the years looking rusty, dusty and a few insects have moved in. 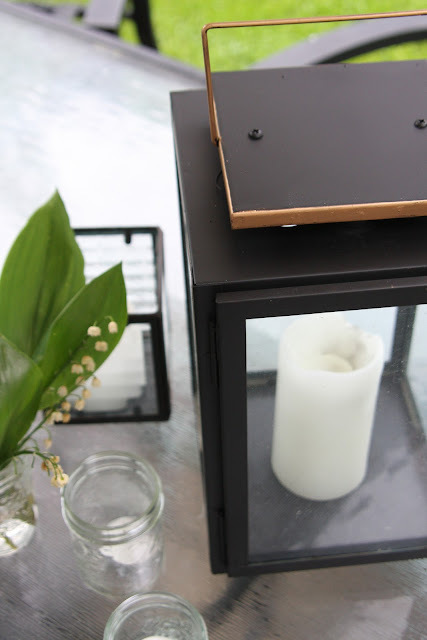 After dusting off the cobwebs, sanding down the old layer of paint and a fresh coat of Rustoleum's black spray paint in a flat finish, I took my dilapidated lantern from blah to wow! It also received the glam treatment with a bit of Rub'N'Buff! A bit of gold always gives black a bit of zip! 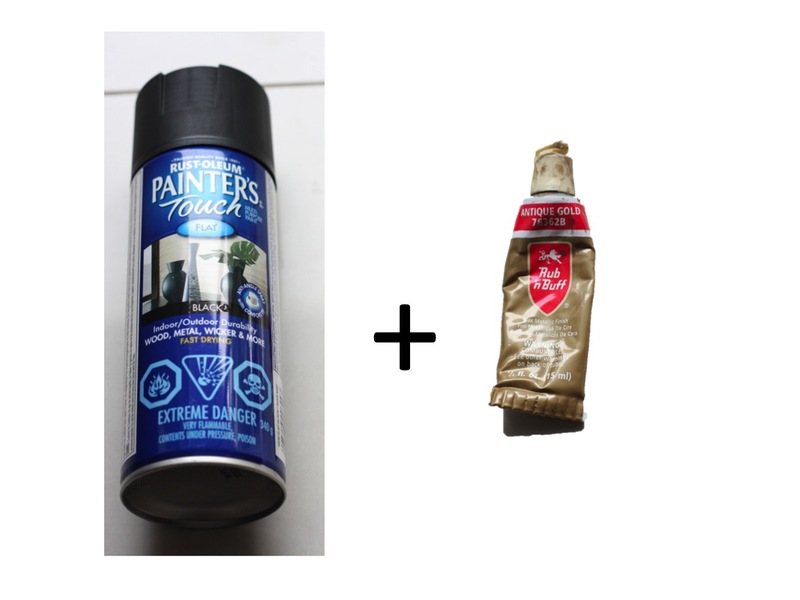 What painting projects have you tackled? Show us your stuff below! My love for gold and silver leafing runs deep. Those of you who have followed along my blog know I have an affinity with giving things the Midas' touch. You can pop over here, here, here and here just to see a few. Not only do I use the real stuff aka "gold leaf", I luuuuuuuv Rub'N'Buff. Many an object in my home has been given the Rub N' Buff treatment. If you haven't tried the stuff, I recommend it. You will want to Rub'N'Buff everything....before you know it your home might look like Liberace moved in. I have had this lantern kicking around for a few years. Originally it was silver, I got it on an end-of-summer clearance a few years ago. I had spray painted it black but after being in the elements for at least 3 years it was looking a tad sad. I decided to give it a cleaning, sand away the rust and a fresh coat of Rustoleum's black in a flat finish. 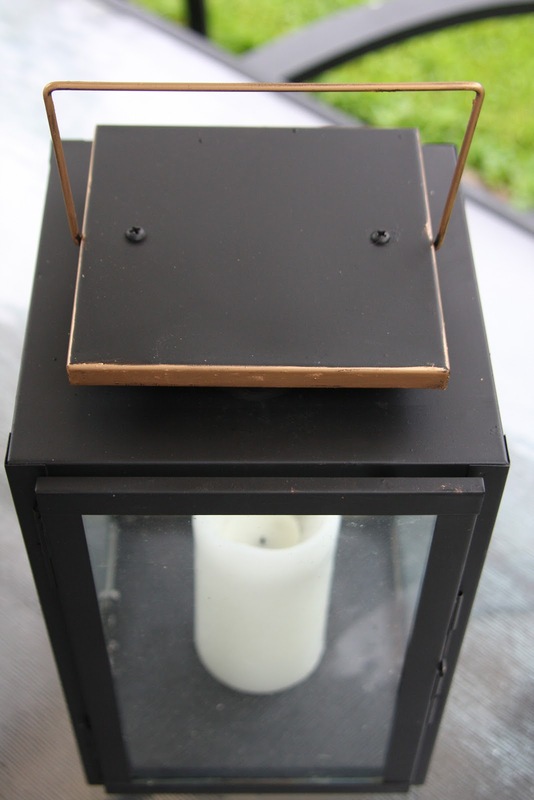 But not wanting my lantern to look like a boring black lantern I decided to glam it up a bit with some Rub'N'Buff just along the top edge and the handle. I quite like how it turned out. I was hoping for some clear weather but we have had nothing but rain for this past week, so these shots were taken while dodging rain drops. A few weeks ago we had such hot weather, but Mother Nature is playing a cruel joke....nothing by clouds, chillly temps and rain. Boo. 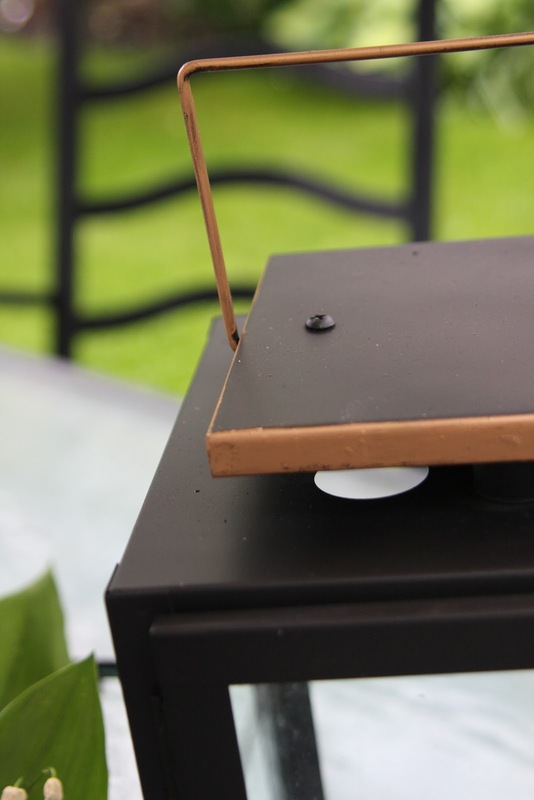 Come back tomorrow to share your outdoor paint projects. Maybe you did something grandiose like paint your house or fence? Or something small like me? Today I get the pleasure (note my sarcasm) of participating in my school's Sports Day. Picture this......over 300 children screaming on a field, where there they eat donuts, candy and hot dogs, not my idea of a calm Friday activity. This week has also been quite a stressful one on the home front. My husband is currently interviewing for two different jobs. He has been offered a job at one company, and endured 2 incredibly challenging interviews for the second job. The first job offer would require us to move. Not to move to some bustling exciting locale, but to a small community nestled in the Rocky Mountains, near the Montana and Alberta borders. I have always lived in or near a major city....Vancouver, Edmonton and Washington DC. A move to a small town terrifies me. Next week I get to visit the said town, to help us make a decision. Fingers crossed he gets an offer from the second job - I secretly want him to get that, because we wouldn't have to move! Life is the ^%$* sometimes. So this week I say TGIF, screaming it from the rooftops! 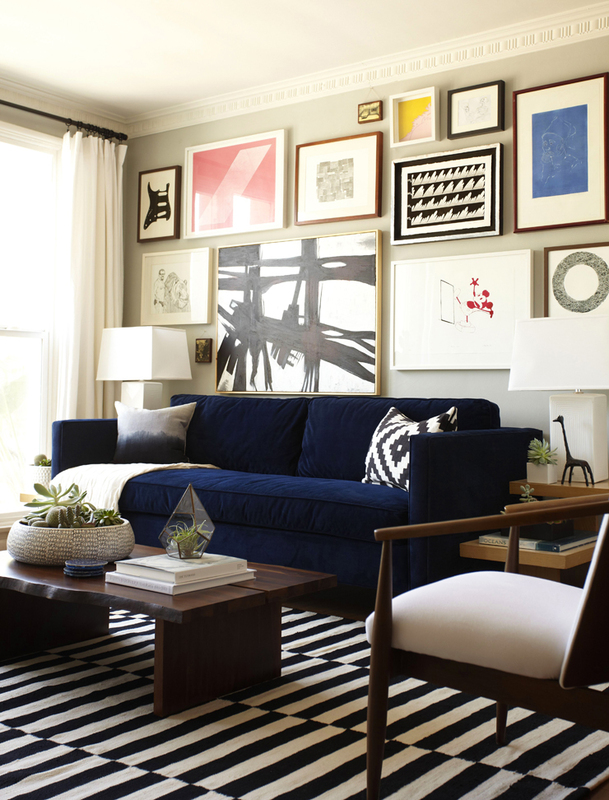 Love, love, love this apartment designed by Orlando, Emily Henderson's assistant. 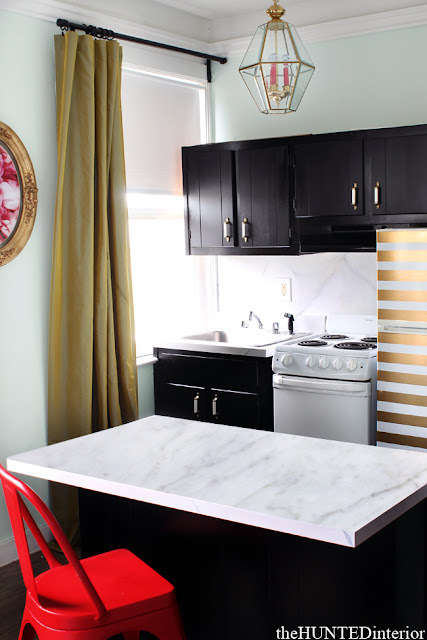 And Kristin from The Hunted Interior knocks it out of the park on this studio suite she re-designed for Room Service Atlanta, a women's shelter. The after is stunning, especially when you see the before! 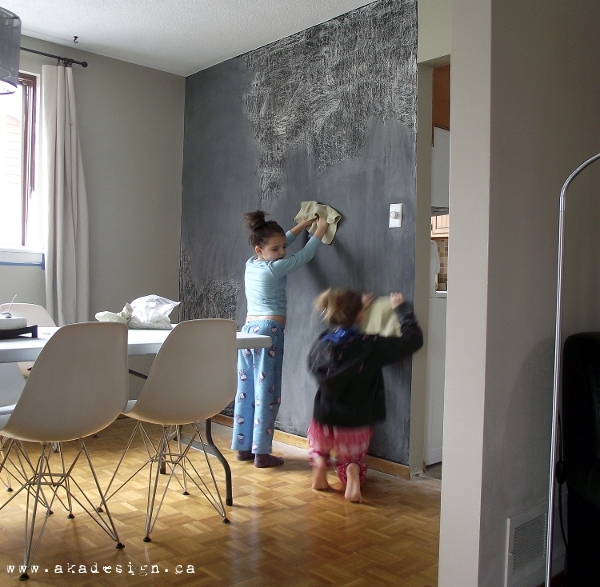 Kristen from 6th Street Design School has an inspiring series focussing on children's rooms. 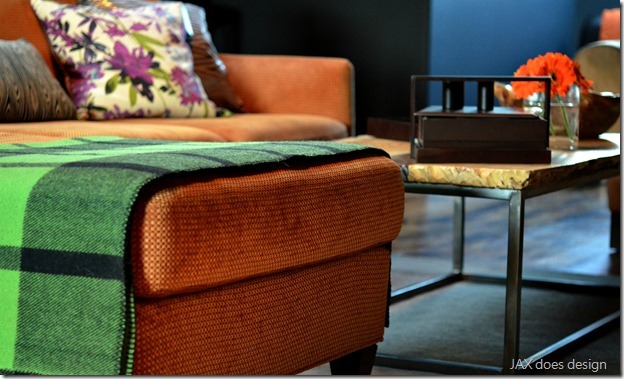 A good tip by Emily in how to buy "to the trade" fabrics. 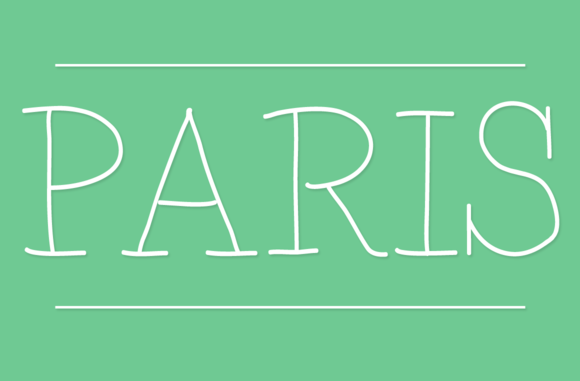 My sweet blog designer, Brittany has been working on designing fonts, check out her newest font - I love it! I have to admit, I am a bit of a font nerd. I was one of those kids that doodled and created letters instead of listening to the teacher. And a little shout-out to two talented friends, whose incredible talents never cease to amaze me. Once again they are published! I have had the privilege of watching them work their magic! I am running a 10 km race with my daughter on Sunday. "You are a runner?" you might ask. Well, no.... I used to run quite a bit but since working almost full time, I just manage one or two runs a week, which involves a lot of huffing and puffing. So lets just say I bit off more than I could chew on this one! So glad you stopped by and joined myself, Carmel from Our Fifth House. 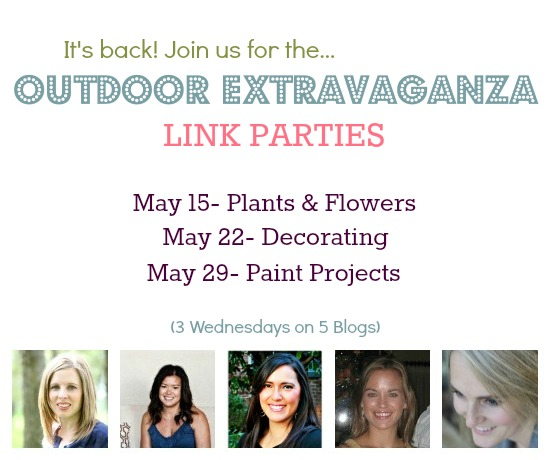 Tiffany from Living Savvy, Shauna from Satori Design for Living and Dawn from Inspired Living in our second week of the Outdoor Extravaganza Link Party. We can't wait to see what you have dreamed up and created! The link is below. Like with holidays, I don't go overboard decorating our outdoor space. 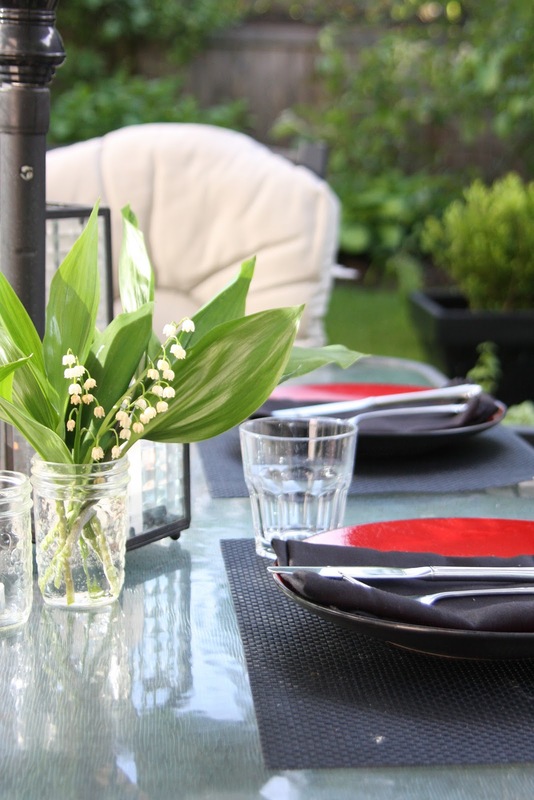 But what I think really adds ambience and a bit of sparkle to an outdoor dining space it candle light. 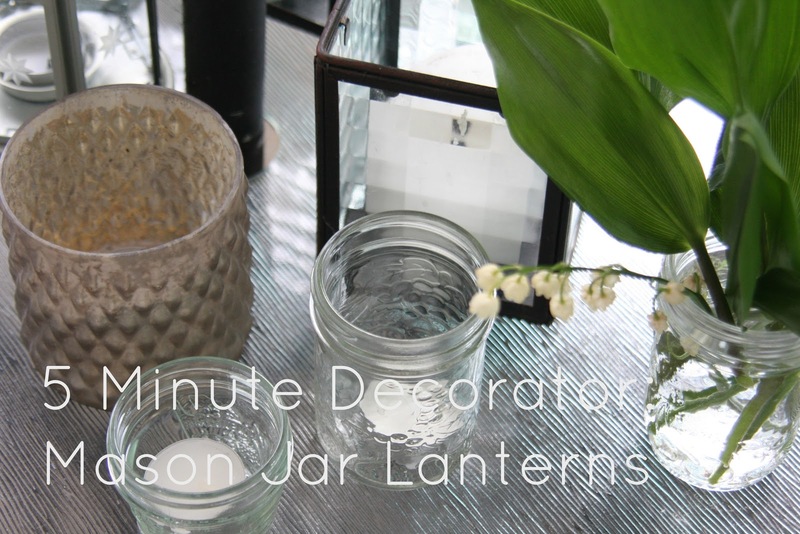 Yesterday I showed you my quick and easy, 5 minute decor tip, using Mason jars and tea lights to create an extra layer of light to my already present lantern collection. 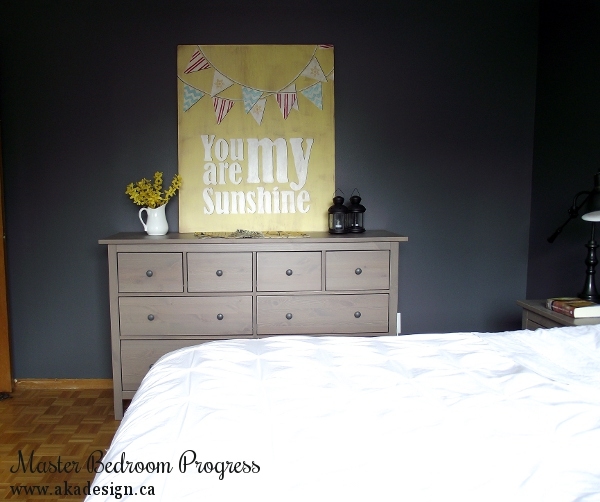 What did you create, decorate, design? Link up below! I have been wracking my brain, trying to come up with some fabulous DIY project for my backyard to wow you all with my outdoor decor panache. I was thinking of recovering my patio cushions but that required gads of time, something I lack right now. Six weeks of school left baby - then I can recover to my heart's content. In the meantime, I am going to show you my stupendous outdoor decor trick. 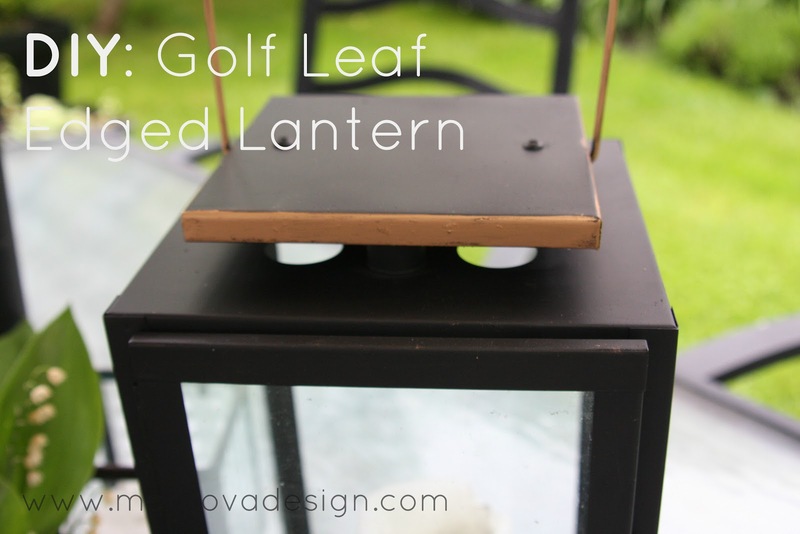 Nothing adds instant pizzazz to an outdoor setting than lanterns and candles. Thank goodness it is Friday! I just LOVE Fridays, don't you? This weekend is a long weekend in Canada, as we celebrate Victoria Day (the late Queen Victoria's birthday). It is also a kick-off to summer here, just like Memorial Day is in the US. I am looking forward to an extra day off and am hoping to work on the backyard patio, getting it lounge worthy! 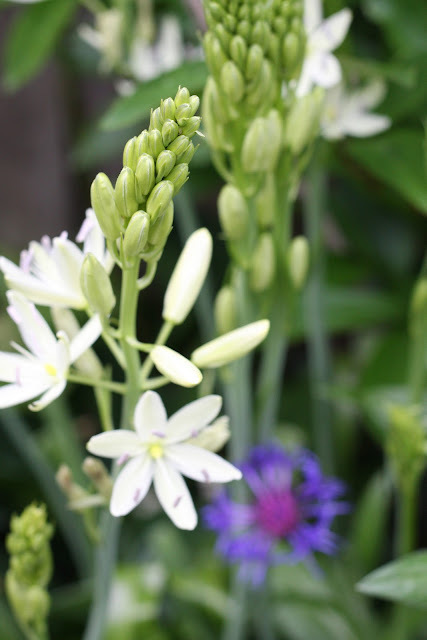 This week I featured my garden tour with a few plant tips, as it is right now, all green with little blooms. This time of year, I find my garden just explodes, almost overnight! In between gardening, cleaning the house, reading blogs, driving kids to and from track meets, this is what has tickled my fancy this week. 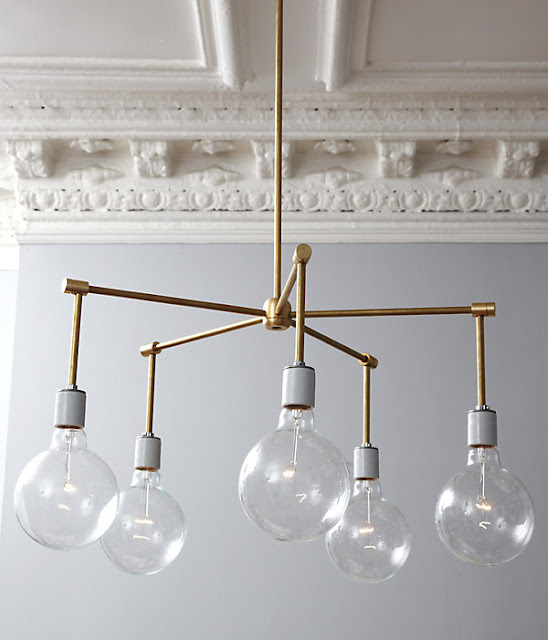 I am positive many of you have seen this amazing DIY but I am floored that this chandelier was a DIY! An ingenious way to create an outdoor hanging sphere from ivy. Craigslist tips for finding fabulous vintage furniture. 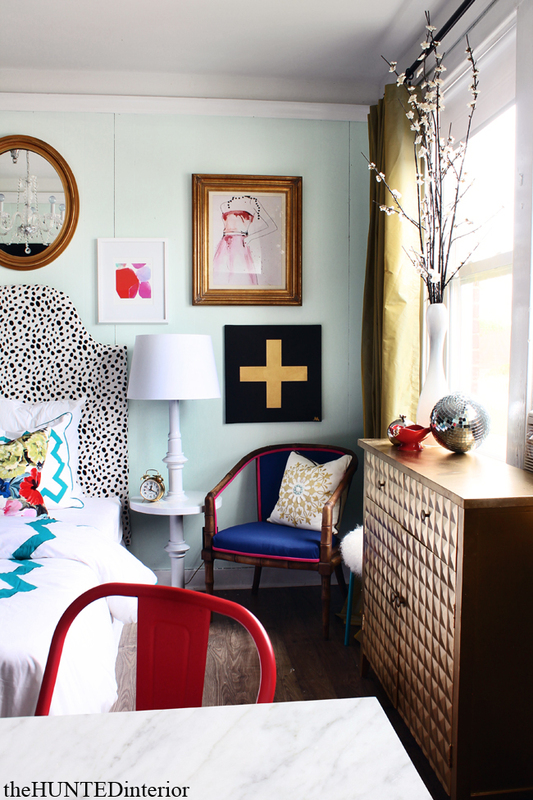 Love this fabulously chic and homey bedroom that is entered in the Small Cool Contest at Apartment Therapy. The room has a chevron ottoman, what is not to love? 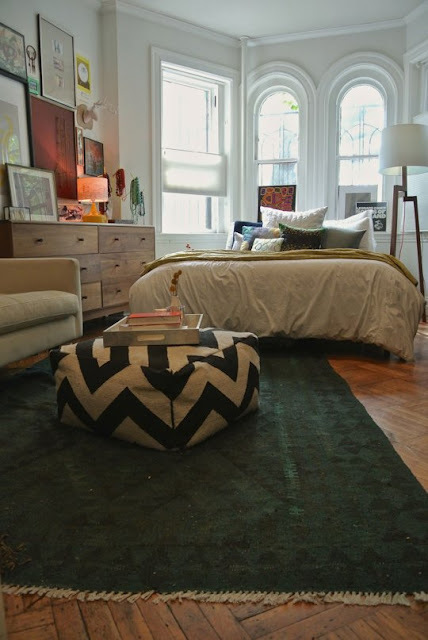 Kelly created an amazing space to lounge in her unused loft space. 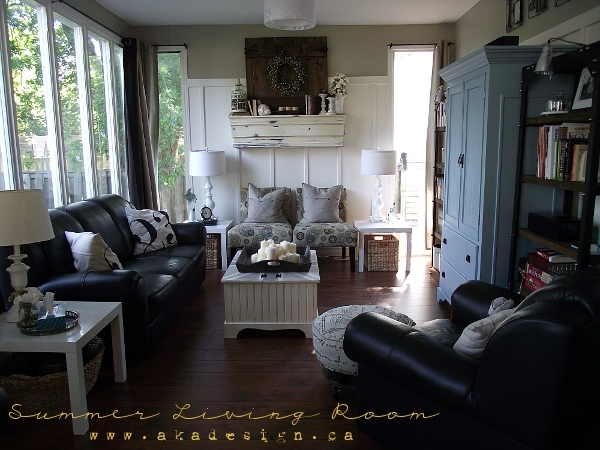 Love this porch makeover on Canadian House and Home online television. I say this evening needs a glass of vino and a good movie. Maybe I can persuade the hubs to go to The Great Gatsby with me. I re-read the novel and am dying to see the movie! Anyone else? Glad you stopped by for the Outdoor Extravaganza Linky Party that is being hosted by myself, Tiffany, Carmel, Shauna and Dawna. This week's party is Plants and Flowers! Link up below to join in the PART-AY, your link will show up on all of our blogs! My garden is starting to grow like crazy! As a frugal gardener I love using the plants I have by dividing up the various perennials I have. It has been so much fun adding a few small purchases (from Walmart or Superstore) mixed with transplants from my mom and neighbours, and watching them grow and flourish in the garden beds. 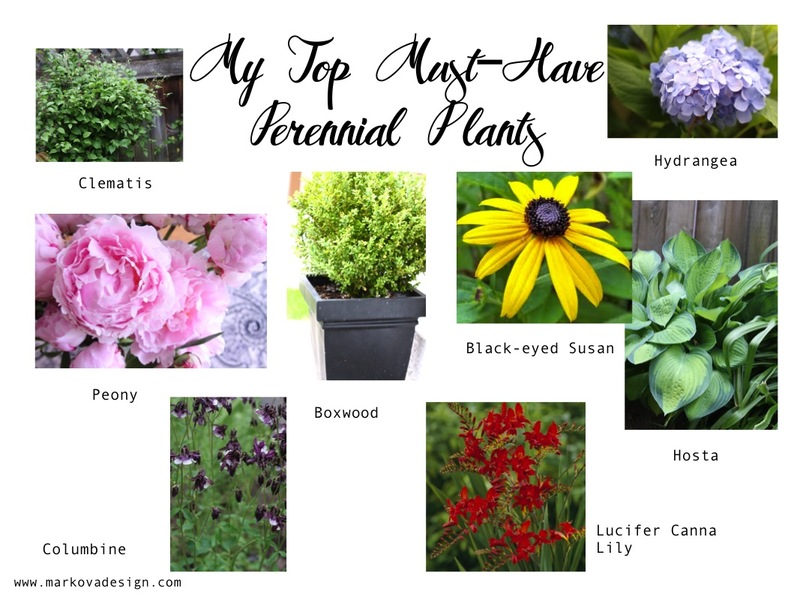 In case, you missed yesterday's post, where I shared a tour of my garden, here are my must-have perennials! 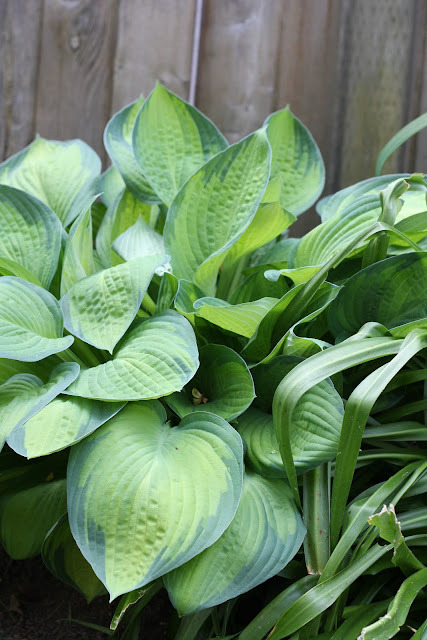 Here is how taking a small cutting of a hosta plant can eventually grow into a lush green plant with stunning floral blooms! 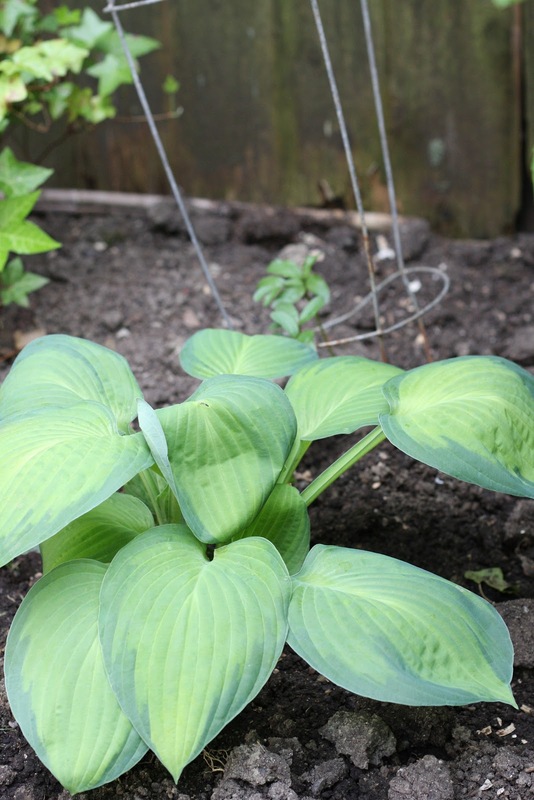 Hope you won't overlook the perennials in your garden, at your neighbours or at the nursery. They are like the energizer bunny, they just keep on ticking! Link up down below, your link will link up to all the other 4 blogs! Now it’s your turn! Link up as many outdoor plants & flowers projects as you like- old and new. Your project will show up on all 5 blogs! Please include a backlink to this post, and be sure to take a look around and show some blog love. No items for sale please! I like to think I have a pale green thumb, not a full on green thumb, but slight green. Digging in the dirt has always been something I enjoyed. But I really don't have a lot of know-how. I just garden and move plants without much plan. I love watching everything unfold, turn green and flourish. My mom is a gardener extraordinaire and I grew up watching and helping in the garden, not always happily, but those years really taught me alot. She was also known for not spending very much but yet her garden was spectacular. The key to her success and now mine, is to use perennials, share with neighbours, divide and fill in bare spots with cheap annuals. Since we are renting, I have spent very little on our yard. The landlady, who lived in the house a few years before we moved in is a keen gardener, so the yard had some fabulous perennials when we moved in. When we moved in though, the garden was half dead, so many perennials didn't survive. She had a plethora of roses (which I loathe, but kept because she keeps count!) and a few great bulb plants! My mom gave me several perennials from plants she had divided. 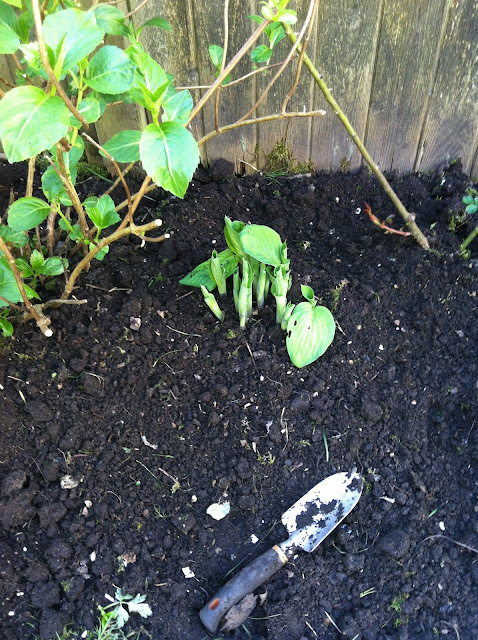 I have now divided many of those plants several times, spreading the, throughout the front and back flower beds. I love perennials. They are so easy to care for and can give you such a variety of foliage, colour and height. If you know a bit about bloom times, you can plan your garden to have something blooming throughout the growing season. I love having a variety of foliage for visual interest. Any bare spots I fill in with a flat of petunias or impatiens from Costco. Real cheap and you get great bang for your buck. So I have been busy dividing up plants and moving them to create a more lush garden this year. Even though we might be moving, it doesn't matter as the plants are free (in my garden) and I can always dig up my favourites, pot them and take them with me! My garden is just starting to grow like mad. It is turning a lush green and a few plants are starting to bloom. Come late June, it will a gorgeous display of colour. I'll give you a tour! Again, I had one of those weeks where I have half written posts but none published!! The weather was spectacular here. Can I say it again? SPECTACULAR! It was such warm summer weather, weather we don't normally get early in May. It reminded me of our life in Virginia, when May can be incredibly warm, as the humidity hasn't set in or the bugs come out. Life is going at warp speed, school is keeping me busy as is my garden. Life is also still so up in the air. My husband is the midst of interviews for two different companies. Both which would require a move. One more immediate and the other job would let us wait for our second daughter to graduate high school next year. So much uncertainty has me not interested in doing too many projects around the house. The walls need a fresh coat of paint, but I am not doing my landlord's any favours....they keep asking us if we want to buy the house every time there is a major repair. Really? Bad sales tactic...trying to sell the house when the pipes burst in the crawl space, not a good idea. 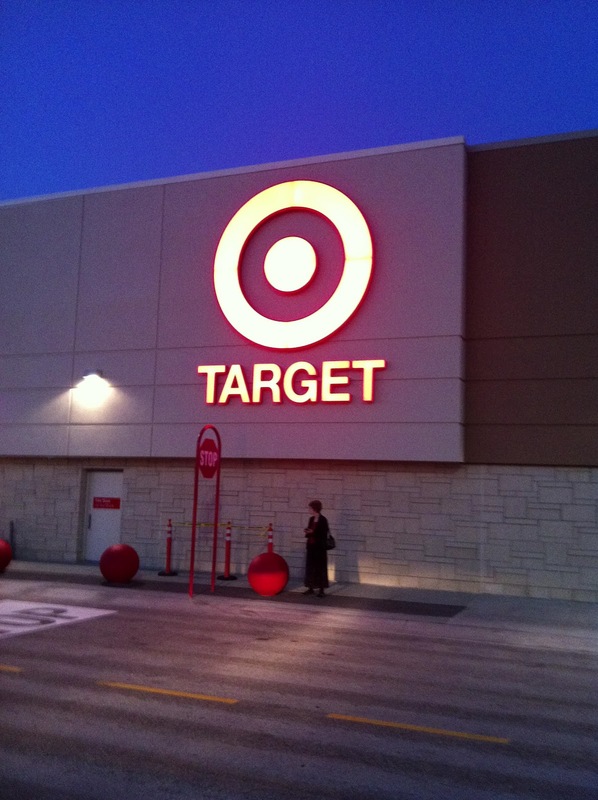 But this week were here in western Canada experienced a little retail excitement! Tarjay is now open! Yesssssss! My daughter and I hit the store late last night. 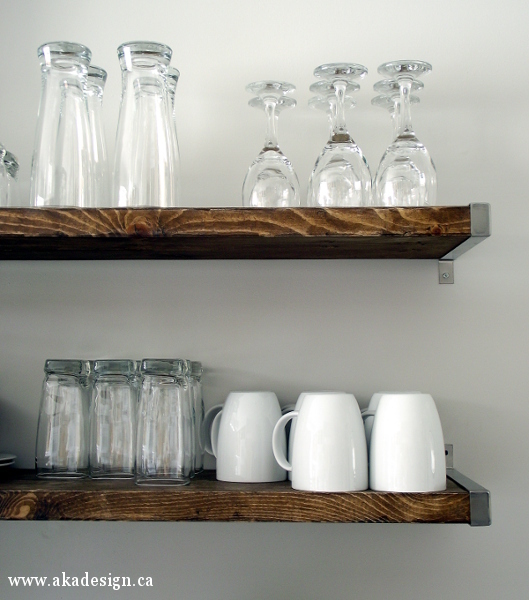 Half the shelves are empty from the shopping frenzy that took place earlier in the week. We Canadians are very shopping deprived.